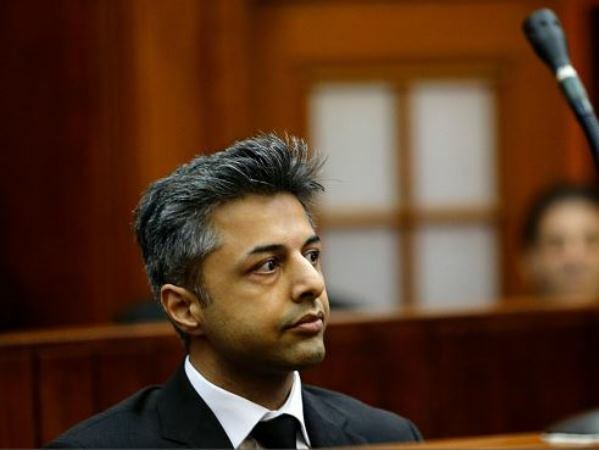 Murder-accused Shrien Dewani fell ill a few days before his wedding in India and did not want his wife Anni to come and visit him in hospital, her cousin told the Western Cape High Court on Monday. "When Anni and I went to visit Shrien in hospital, he had told Anni that he did not want any visitors so Anni and I thought it would be nice for us to visit him as a surprise," Sneha Mashru told prosecutor Shareen Riley. "When we arrived at the hospital, Shrien said to Anni: 'What are you doing here? I told you not to visit me.' Anni looked around the room and said: 'What are all of them doing here?'. Shrien had his mother there, as an example." Mashru said she waited in a taxi cab for about five to 10 minutes while the couple argued a bit. Anni returned and was crying. Her slumped body was found in an abandoned shuttle taxi in Khayelitsha the following day. Mashru described Shrien's behaviour as strange, in the period before and after the wedding and honeymoon. She met the couple in Bristol on November 7, 2010, so she could introduce her then-boyfriend to them, as she and Anni had a rule that they had to meet each other's partners before their families could meet them. "My lady, according to me, Shrien was on his Blackberry non-stop. My husband even commented about that. I could look at Anni and see that she was not happy at that point. I could tell by looking at her that they had argued," Mashru said. Once in South Africa, she and Anni kept in contact via text messages between November 10 and 11. Riley referred to the list of text messages in court. In the first message, Anni asked her cousin what she should do because a day had passed and she still felt the same. "He is a really good guy but I really don't feel happy with him at all," the text message stated. Mashru replied that it was a difficult situation and they had to think of their options. "What I meant by that [text message] was before going on honeymoon, Anni didn't want to go anywhere with Shrien at all. She was thinking of getting a divorce," Mashru said. "My lady, my intention were that if she felt that she couldn't be with him, then when she comes back, then we could think of options to leave him." The next day, Mashru got a message from her saying that things were a lot better.